Constance Evans holds Masters degrees (MAc) in Acupuncture and (MCH) Chinese Herbal Medicine from the Traditional Acupuncture Institute in Columbia MD and a Masters degree (MPT) in Physical Therapy from the University of North Carolina at Chapel Hill. 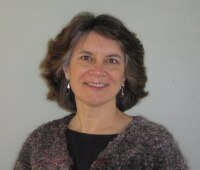 She has over 40 years of experience in clinical practice and university teaching in physical therapy, including faculty positions at the University of Vermont and Shenandoah University in Winchester, Virginia. Her initial career focus was in pediatric physical therapy, and in the mid-1990’s her focus expanded to the study of complementary physical therapy approaches. This evolved to a committed study of acupuncture and culminated in a Masters Degree in Acupuncture and National Board Certification and an additional Masters Degree in Chinese Herbal Medicine and National Board Certification in that field. Her current practice blends acupuncture, Chinese Herbal Medicine and Chinese healing philosophy with an understanding of structure and function, from the western physical therapy perspective. This blend is then focused on activating each individual’s capacity to heal and reclaim health and vitality. 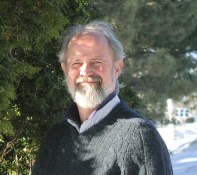 Mike Shunney has studied and played Taijiquan and Qigong here in the states and in China, since 1987. His school, Inner Works Center for Taijiquan & Qigong Studies, has earned the honor of being officially recognized by the International Yang Family Tai Chi Chuan Association (IYFTCCA) as an Affiliated School, the first in New England, and he is an IYFTCCA Affiliated Instructor. He has had the great privilege of attending many workshops and learning from some of the finest Taijiquan and Qigong Masters in the world, most notably, Grandmasters Yang Zhenduo and his grandson Yang Jun, the Family Lineage Bearers of the most widely practiced style of Taijiquan in the world . He has competed successfully nationally and internationally, including the First International Taijiquan Invitational Championships in Fuzhou, China as an athlete with the ten member North American Taijiquan team in 1993. He has been teaching Taijiquan since his return from China in 1994, beginning as a teaching assistant for Sifu Pat Rice, his primary teacher. He is focused on community education programs as well as teaching in hospital and university programs. He is engaged in training up the next generation of Taijiquan instructors, through the IYFTCCA Teacher Training programs. He is known for gently guiding his classes with humor and warmth.